Why use a saline nasal spray when travelling? Recently we had a fantastic mid-winter break to Tonga with some friends.The flight was 3 hours and I was determined to make the most of our 10 days away.My plan was to not waste any holiday time - I wanted to feel fit and healthy after the flight. How does a saline nasal spray work? Fess Frequent Flyer is a saline nasal spray with tea tree oil,Xylitol and moisturisers. I used this saline nasal spray before I got on the plane, then every couple of hours and then after the flight.With air-conditioning your nasal passages get very dry,this combined with being in a confined,small space with lots of people(their airborne germs,viruses,colds etc) increases our risk for getting sick. The added Xylitol helps to clear away bacteria and pollutants.Using Fess Frequent Flyer keeps the nose mucous lining moist and comfortable and helps our nasal passages work well to filter the air. I think of the Fess Frequent Flyer nasal spray as a travel essential. A lot of our customers travel every year or are business travellers who fly often.Feedback from our customers about using a saline nasal spray for flying has been very positive. I will always use the above regime for flying as I believe it works as a preventative to stay well while travelling overseas.We had a wonderful,relaxing holiday in Tonga with its tropical climate and I enjoyed every minute of it. 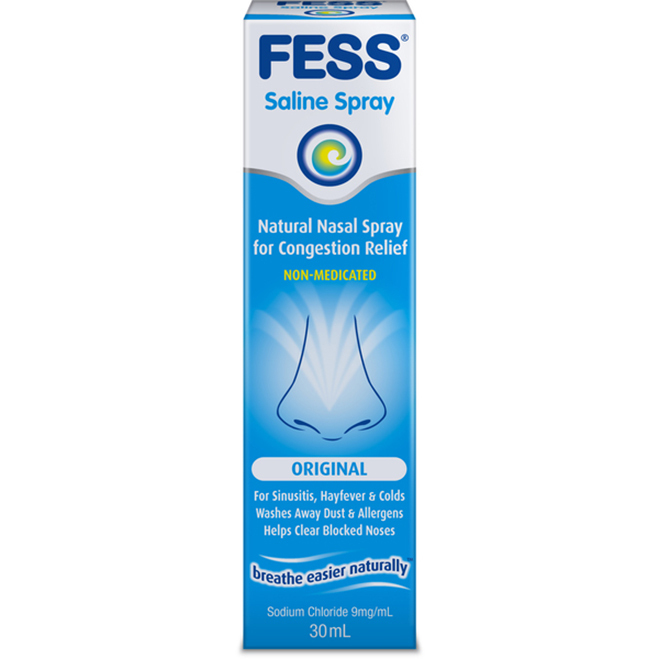 You can buy Fess Frequent Flyer at our bricks and mortar store Harts Pharmacy,Warkworth or shop online at www.pharmacysales.co.nz .Also available is Fess Saline Nasal Spray (with no tea tree oil,Xylitol and moisturisers) for people who prefer a plain saline spray.